Flowerhead of Juncus conglomeratus. If you look closely, you can see the line where the true stem ends, and the elongate stem-like flower bract begins. Photo from Nature Notes from Argyll. Rushes of the genus Juncus are a large cosmopolitan assemblage of superficially grass-like plants, most commonly found in damp or swampy soils. A number of distinct subgroups are recognisable within the genus, and my subject today is one of those subgroups, the section Juncotypus in the subgenus Agathryon. Most older references will refer to this group as the subgenus or section Genuini, but the precendence of Juncotypus was noted by Kirschner et al. (1999)*. Both names, however, can be translated to give a good idea of what defines this group - section Juncotypus is the "genuine" rushes. Species of this species lack true leaves entirely (the leaves have been reduced to small sheaths at the base of the stem), and instead have clumps of umbranching photosynthetic stalks rising from a basal woody rhizome. The flower clusters appear to born laterally some way down the stalk (Healy & Edgar, 1980; though admittedly, calling the tiny wind-pollinated reproductive organs of rushes "flowers" arguably stretches the term to its limits), but are in fact not - rather, the part of the "stalk" extending past the inflorescence is really the flower bract. *A few notes for my more zoologically-oriented readers. While zoological nomenclature allows only one formal division between species and genus, the subgenus, botanical nomenclature allows (from highest rank to lowest) subgenus, section, subsection, series and subseries. And while zoological taxonomists tend to be a little chary when it comes to using subgenera, botanical taxonomists have a long history of using every one of those subsidiary ranks to full capacity (some botanists have managed to pluck even further levels out of the ether). Also, while zoological taxonomy interpolates subgeneric names into the full species names (e.g. Brachiosaurus (Giraffatitan) brancai), botanical taxonomy does not - Juncus amabilis is a member of the section Juncotypus, but that doesn't mean that it should be called "Juncus (Juncotypus) amabilis". Finally, while zoological taxonomy regards subgeneric names as distinct entities at the same level of homonymy as generic names (Giraffatitan is nomenclaturally distinct from Brachiosaurus, and because the name has been used for a subgenus, it cannot be used for another genus or subgenus), botanical taxonomy regards the subgeneric name as directly connected to the generic name, so the proper name for today's subject is "Juncus section Juncotypus", not just "Juncotypus". One side-effect of this is that using a name for a subgeneric taxon in one genus does not prevent its use in association with another genus, so (e.g.) Crassula section Glomeratae and Campanula series Glomeratae are not regarded as homonyms. If you're feeling horribly lost about now, take comfort in my assuring you that, yes, botanical nomenclature really is as horribly complicated as it looks. Personally, I don't understand a word of it. Species of section Juncotypus are found in temperate habitats over most of the world. Some species are found in tropical latitudes, such as Juncus aemulans in Central America (Mexico to Guatemala) and Juncus decipiens in eastern Asia and New Guines, but at high altitudes (Snogerup et al., 2002; Wilson & Johnson, 2001). More than half the recognised species are found in Australasia, while a few species such as Juncus effusus are found over almost the entire range of the subgenus as either natives or adventives. Some members of the section are notable pasture pests. Though morphologically distinct, recent phylogenetic analyses have not supported the monophyly of the section Juncotypus (Drábková et al., 2006; Drábková & Vlček, 2009). 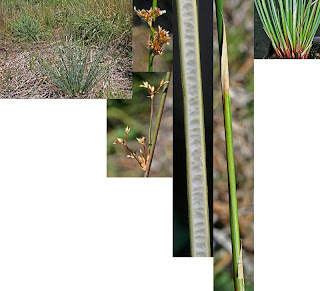 Drábková & Kirschner (2004) particularly commented on the intermediate morphology of Juncus uruguensis between sections Juncotypus and Steirochloa. These results have not yet been incorporated into a taxonomic revision, probably because as yet only a relatively small number of Juncotypus species have been studied in this regard. 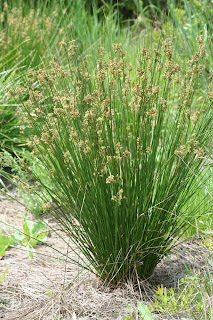 Juncus effusus. Photo from here.. Although the Junci Genuini show obvious differences of habit and colour in the field, these differentiating characters are largely lost in pressing and drying, and herbarium specimens are often difficult to determine. The principal characters which have been used to distinguish the plants are the general size, the presence or absence of lacunae in the pith of the stem, the varying compactness of the inflorescence, the number of stamens, and the relative size of the capsules. Yet none of these characters is wholly satisfactory. For instance, if the general size of the plant is used as a diagnostic character there is an obvious difficulty in placing intermediate sizes. Then, the appearance of the pith in longitudinal section, i.e., whether continuous or interrupted by air spaces, is a very useful feature, but is not constant within some of the species nor, on occasion, even within one plant. Only three species in New Zealand invariably have six stamens and all the others have normally three, though four, five, or even six stamens may be found in occasional flowers. Again, the structure of the inflorescence is constant in some species but extremely variable in others, the flowers are small and inconspicuous and the tepals lose most of their character on drying. Lastly, the ratio between capsule-length and tepal-length which can be a very useful diagnostic character in other groups of Juncus is more difficult to use in this subgenus. In the species with larger capsules it is quite reliable, but in the species with the smallest flowers the difference in length between capsule and tepals is rarely greater than 0.5 mm and usually very much less, so that the ratio between the lengths does not make a convenient diagnostic character. Diagnostic features of Juncus amabilis. Images from here. When she made this complaint, Edgar (1964) was reviewing the New Zealand species of "Juncus genuini". 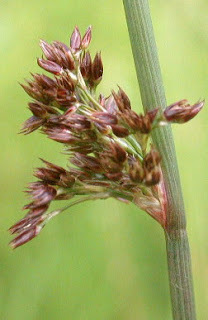 In that paper, she described a new species Juncus amabilis, which was distinguished by its small size, extremely dark red-purple basal sheaths and pointed capsules that were distinctly longer than the tepals. Juncus amabilis has a distinctly scattered distribution in New Zealand, with specimens recorded from Auckland, Waikato, the Bay of Plenty, southern Canterbury and Otago (for those unfamiliar with New Zealand geography, that leaves a big gap across the southern North Island and northern South Island without records). It wasn't until later that the reason for this unusual distribution pattern became clear, when Juncus amabilis was also identified in damp wastelands (primarily along river edges) in southern Australia. It now appears likely that, in spite of where it was initially discovered, J. amabilis is not a native of New Zealand, but an introduction from Australia*. Within Australia, the distribution of J. amabilis remains scattered (a map can be seen here) but, while uncommon, the species does not seem to be regarded as particularly endangered. It looks as if habitat availability rather than human impact may be the cause of its rarity. *This is unusual, but not unique. A number of organisms have been described as introductions before being recorded from their native ranges. Among harvestmen, for instance, the species Ibantila cubana was originally described (as the species name indicates) from Cuba. However, I. cubana is the only species of the Old World family Podoctidae recorded from the Americas and was collected in a botanical garden, so it is almost certainly an exotic (Kury, 2003). The original homeland of this species remains as yet unknown. Drábková, L., J. Kirschner & Č. Vlček. 2006. Phylogenetic relationships within Luzula DC. and Juncus L. (Juncaceae): a comparison of phylogenetic signals of trnL-trnF intergenic spacer, trnL intron and rbcL plastome sequence data. Cladistics 22 (2): 132-143. Drábková, L., & J. Kirschner. 2004. Juncus uruguensis - a member of the section Juncotypus (Juncaceae, Juncus subg. Agathryon). 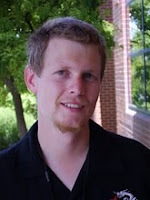 Nordic Journal of Botany 22: 687-691. Drábková, L. Z., & Č. Vlček. 2009. DNA variation within Juncaceae: comparison of impact of organelle regions on phylogeny. Plant Systematics and Evolution 278: 169-186. Edgar, E. 1964. The leafless species of Juncus in New Zealand. New Zealand Journal of Botany 2: 177-204. Kirschner, J., L. J. Novara, V. S. Novikov, S. Snogerup & Z. Kaplan. 1999. Supraspecific division of the genus Juncus (Juncaceae). Folia Geobotanica 34 (3): 377-390. Kury, A. B. 2003. Annotated catalogue of the Laniatores of the New World (Arachnida, Opiliones). Revista Ibérica de Aracnología, special monographic volume 1: 1-337. Snogerup, S., P. F. Zika & J. Kirschner. 2002. Taxonomic and nomenclatural notes on Juncus. Preslia 74: 247-266. Wilson, K. L., & L. A. S. Johnson. 2001. The genus Juncus (Juncaceae) in Malesia and allied septate-leaved species in adjoining regions. Telopea 9 (2): 357-397. I've long had the impression that botanical nomenclature has more order behind its gratuitous complexity than zoological does. I've wondered the same thing myself. The zoological rules are far easier to follow, but they're also much more forgiving of sloppy working. The more difficult botanical rules may arguably hold new taxa descriptions up to a higher initial standard. 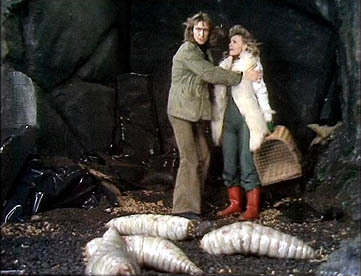 On the other hand, the botanical rules seem more dogmatic than the zoological - for instance, they're much more committed to the concept of ranks. Ranks are bad, but they're an orderly sort of bad. Didn't know there were categories between genus and species...especially this many!